The suicide bomber who killed 32 youth activists in the Turkish town of Suruc has been identified, government officials say. According to the DNA tests, the attacker was a 20-year-old Turkish student, named by local media as Seyh Abdurrahman Alagoz. 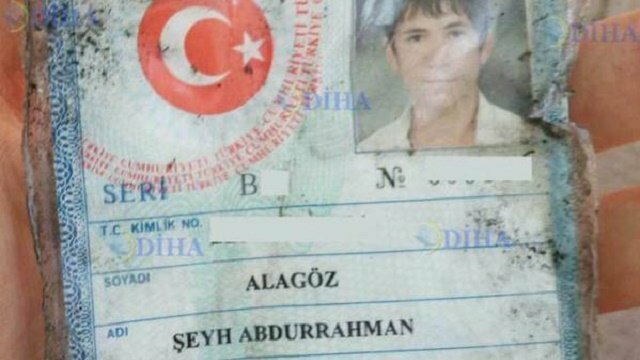 Seyh Abdurrahman Alagoz came from the south-eastern province of Adiyaman and was reportedly linked to ISIS militants. Meanwhile, two Turkish police officers have been found dead in the town of Ceylanpinar near the Syrian border. The officers were found with bullet wounds in the house they shared in the town, which is in the same province as Suruc. The outlawed Kurdistan Worker’s Party (PKK) has claimed responsibility for the killings, saying it was in revenge for the massacre in Suruc and accusing the police officers of collaborating with ISIS. At least one of the officers worked for an anti-terrorism task force, the AA news agency said. Regional governor Izzetin Kucuk earlier said it was not yet clear “if there is a terrorist link”. The suicide bombing on July 20 claimed 32 lives and injured 100 others, making it one of the deadliest attacks in Turkey in recent years. The activists were mainly university students, who were holding a news conference when an explosion ripped through the Amara Cultural Centre. They had been planning to travel to Syria to help rebuild the town of Kobane. The youngest victim was Okan Pirinc, who was 18, according to the Turkish media. Seyh Abdurrahman Alagoz’s mother told the newspaper Radikal, that her son had gone “abroad” six months ago and returned 10 days ago. A senior Turkish official told Reuters that he believed the bomber, who he did not name, had travelled to Syria last year with the help of a group linked to ISIS militants. There were rallies in cities across the country on July 21, with people condemning the attack and protesting at the government’s policies on Syria. Many feel Ankara has not done enough to combat the threat of ISIS militants. However, PM Ahmet Davutoglu said Turkish leaders were committed to beating the group. PM Ahmet Davutoglu is due to chair a cabinet meeting on July 22 aimed at improving security on Turkey’s border with Syria.